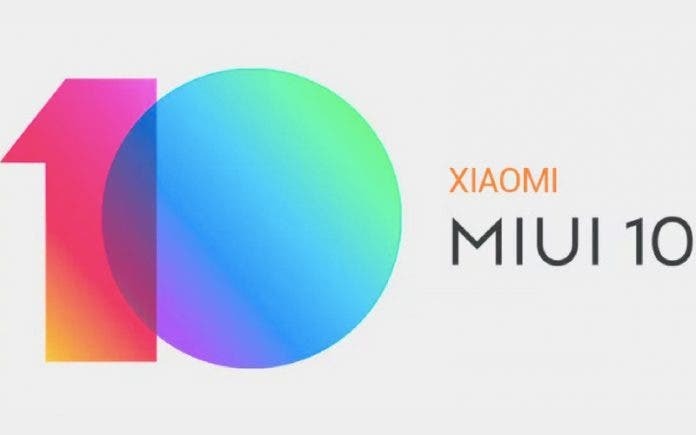 Yesterday, Xiaomi has launched the Redmi 7 smartphone in China, a medium super cheap smartphone that has reduced specifications compared to its older brothers (Redmi Note 7 and Note 7 Pro), but with great attention to consumption. And now Xiaomi’s CEO Lei Jun gives us some more details, praising the new device. 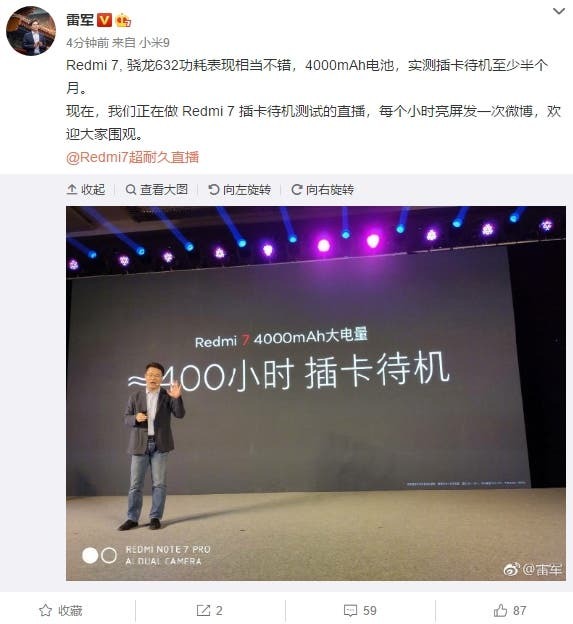 The manager published a post in which he underlined what Lu Weibing announced during the device launch event and offered some more details. The Redmi 7 battery is made with a new graphite anode – which offers high chemical stability – while the software includes AI support for smart energy saving management. All combined with the low power consumption of the Snapdragon 632 allows you to benefit from around 400 hours of standby time, or about half a month! The Redmi 7 features a 6.26-inch 19:9 screen with a water drop notch and a resolution of 1520 x 720. It offers three memory configurations which include 2GB+16GB, 3GB+32, and 4GB+64GB. At the moment there are no details regarding a possible Global release of the smartphone, but we expect to see it in other markets later like its predecessors.